(On Cable TV, October 2015) The Edward Snowden saga is still fresh enough that it doesn’t quite seem worthy of a documentary just yet. But Citizenfour is something slightly different: It doesn’t try to propose an all-encompassing theory as much as explore a pivotal moment in time. Documentarian Laura Poitras was actually there when Snowden first physically met with journalist Glenn Greenwald to explain his cache of documents. The documentary itself is raw, presenting an intimate you-are-there account of the meeting between the two men. It’s not meant to be an all-encompassing exposé of the current surveillance state, but it’s certainly eloquent in doing so by small moments, whether it’s Snowden typing a password under a cloak to defeat visual surveillance, or having their meeting disrupted by mysterious interruptions. 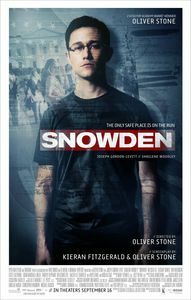 Snowden himself comes across as a smart, humble, justifiably paranoid young man, driven by strong moral principles. 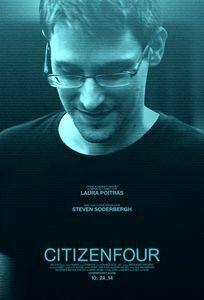 Reaction to Citizenfour will probably hinge on viewers’ opinion of the Snowden leaks, but at this time, while Snowden is still effectively exiled in Russia and the full magnitude of his revelations still have to be felt, Citizenfour is a great first draft of history.